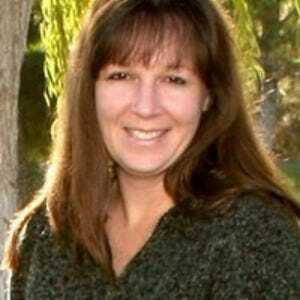 Terrisa says, Don't leave Las Vegas without seeing the Bellagio's Fountains. 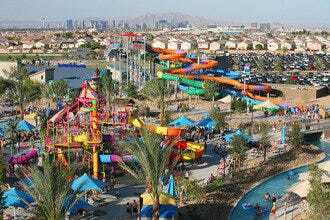 It's an iconic Vegas attraction, and it's free! If you’re watching your budget while you’re in Las Vegas, it pays to take advantage of all the free attractions you can find. Entertainment and tours can come with hefty price tags, so why not spend some time checking out the free stuff? In many cases, you’ll find several free and low-cost things to do in the same place, which makes it easier to plan wallet-friendly outings. 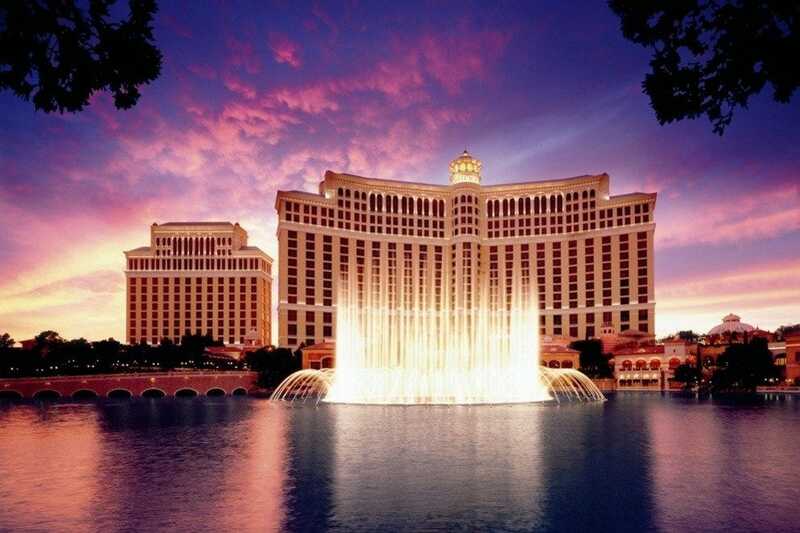 At the Bellagio, for instance, you can visit the Conservatory and Botanical Garden, watch the dancing waters and inspect the fascinating Chihuly artwork on the ceiling near the front desk--all for zero dollars. Getting out of the city to explore the surrounding desert can also be free or low cost. A visit to the art installation Seven Magic Mountains costs nothing, and it comes with an expansive view of the surrounding desert, a scenic vista if there ever was one. 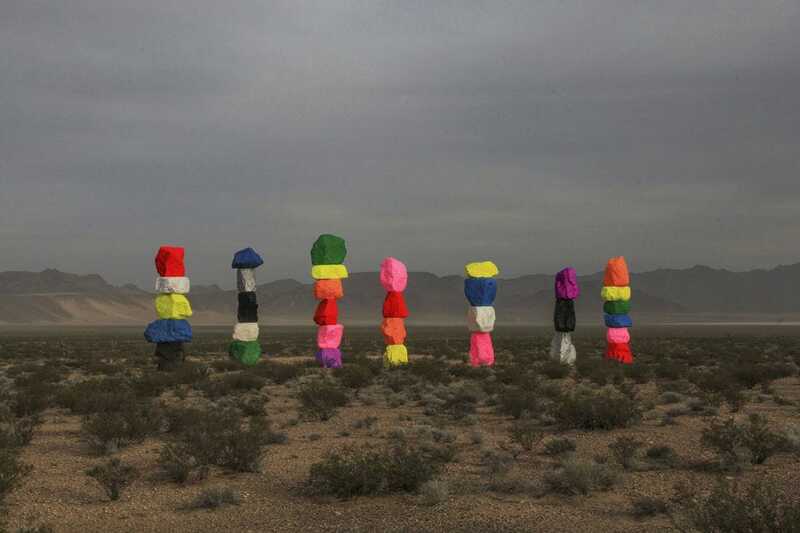 This pubic artwork--seven towers of multi-colored, neon boulders--has inspired some debates in Las Vegas about art. Come with an open mind and your camera. Shopping might not sound like a free activity, but in Las Vegas you can find shopping malls with free entertainment, like the Streetmosphere at the Venetian’s Grand Canal Shoppes. The wandering performers and living statues are free, even if a trip inside your favorite store might not be. 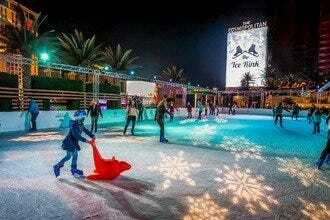 Scroll on down to read more about free things to do in Las Vegas. This small burst of greenery in the middle of the bustling Strip may surprise some visitors. 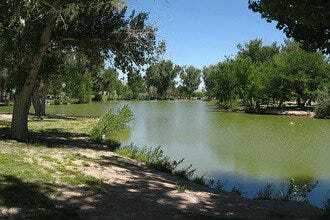 Who knew that a secluded and lush escape was just a short walk away from the giant neon signs and sidewalk performers on Las Vegas Boulevard? 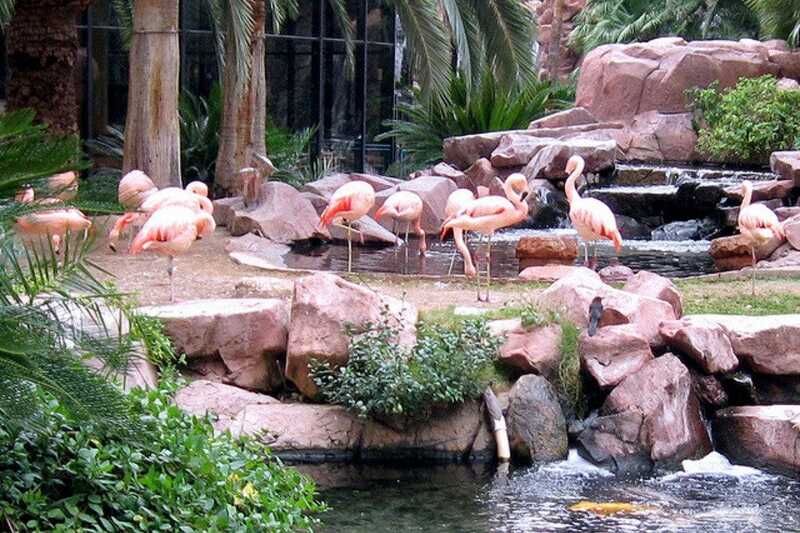 The Flamingo's Wildlife Habitat is home to (naturally) flamingos, but you'll also find swans, ducks, koi, turtles and even two rescued pelicans. Lush landscaping makes for great pictures: think waterfalls, palms trees, and plenty of places to sit. The habitat is family-friendly, and it's free. Walking paths allow you to wander throughout the area, and if you've got kids with you, it's a nice place to stop for a very un-Vegasy break. 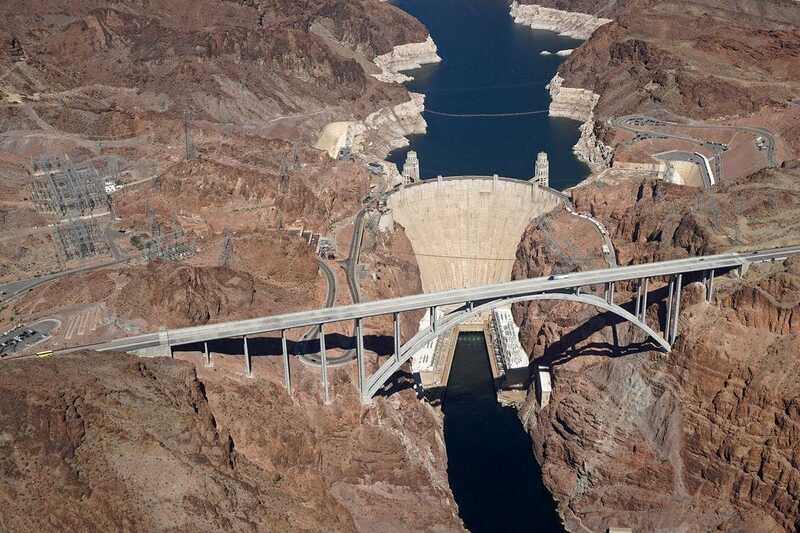 The Mike O'Callaghan-Pat Tillman Memorial Bridge was build to relieve congestion over the top of Hoover Dam, which had formerly been a part of US93. The new bridge re-routed the highway and opened up a whole new view of Hoover Dam. Best of all, you can park and walk across the bridge for free. Stairs and ramps lead up to the bridge access, and several placards and signs offer information about the bridge and the history of the men it's named for, although most people refer to it informally as the Bypass Bridge. The bridge is an architectural feat, the highest concrete-arch bridge in the world (as of this writing in 2018) and the second highest bridge in the United States, standing 880 feet above the Colorado. 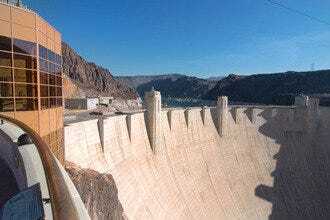 It's 1,905 feet long and offers unparalleled views of Hoover Dam for those who are not afraid of heights. Before the Bellagio, not many people in Las Vegas really knew what a conservatory was. Then everyone learned that "conservatory" is another way to say "fascinating indoor garden display," and the Bellagio's Conservatory and Botanical Gardens have been captivating visitors ever since. As the seasons and holidays change, the staff of the Conservatory swoops in and adds everything from gigantic Christmas trees to rare flowers. This area of the Bellagio, which is directly off of the front desk, is frequently choked with visitors snapping pictures from every angle, especially during the holiday season. It's also one of the few areas of the Bellagio receptive to visiting children. Arrive early in the day to encounter the fewest people and get the best pictures. Open 24/7. The Grand Canal Shoppes at the Venetian aren't satisfied with just having miniature Venetian canals, a recreation of St. Mark's square, or top-notch shops and restaurants. They decided to add street performers, which they've dubbed "Streetmosphere." 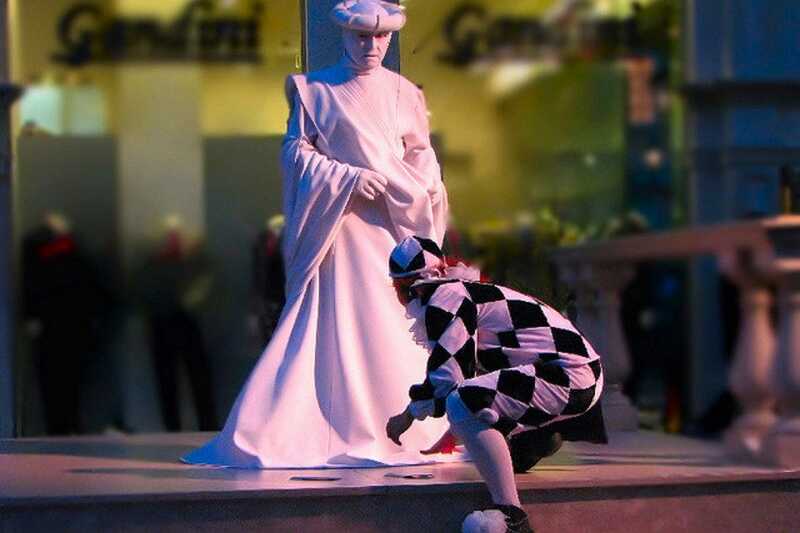 Singers, performers, and living statues regularly entertain people, who are often caught off-guard, especially by the living statues. (Parents, be forewarned, you probably won't be able to stop yourself from sending unsuspecting kids up to the "statues," who will move when your child least expects it--have your camera ready). Costumed performers regularly wander through the streets. Several times a day, scheduled performances of singers, jugglers, and other entertainers take place in St. Mark's Square. 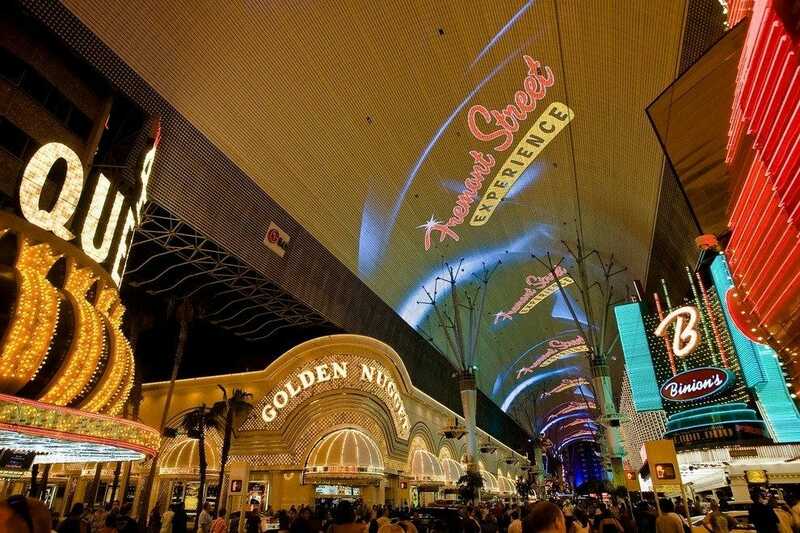 The Fremont Street Experience is mostly known for its overhead light show, Viva Vision, which is spectacular display of lights and technology. Street performers, impersonators and artists known as buskers are found all along the street level on Fremont Street, making a walk up and down the few blocks under the canopy feel like an adult carnival. A zip line ride, SlotZilla, zooms riders under the canopy and over the heads of the people below. And, of course, every hour after dark the overhead canopy explodes into images and music. During the day, the FSE is a bit more sedate. 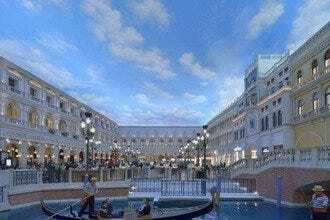 Pedestrians can stroll from casino to casino and check out the wares at the shopping kiosks. If you're shopping for souvenirs, several places along the FSE feature inexpensive trinkets and tee-shirts. The Seven Magic Mountains art installation is easy to see from I15, with its 35-foot high towers of multi-colored boulders rising out of the desert east of I15, about ten miles south of Las Vegas. Swiss artist Ugo Rondinone's creation is an impressive piece of public art. These neon hoodoos look a little like the natural rock formations found in the Southwest, only instead of being sculpted by wind and rain, these locally-sourced boulders were put into place with heavy equipment. The installation will be on display at least through the end of 2018, and plans are in progress to extend its stay. The installation's setting against the backdrop of Jean Dry Lake and the surrounding desert is photo-worthy, and worth exploring from every angle. Seven Magic Mountains might not be artwork in the traditional sense, but it is a unique creative and engineering achievement--and it's totally free. Two or three times a day, the Mirage's volcano rumbles into life, spewing flames and doing a nice, friendly impersonation of a real volcano. Crowds gather early to get a glimpse of this iconic curb-side attraction--when it first appeared on the Strip, it was the first Vegas exterior entertainment of its kind. The entire lagoon area in front of the Mirage comes to life when the volcano is erupting. If you've ever seen real lava, you're in no danger of mistaking the special effects at the Mirage for the real thing--but it is a Hollywood-worthy spectacle, and plenty of fun to watch. 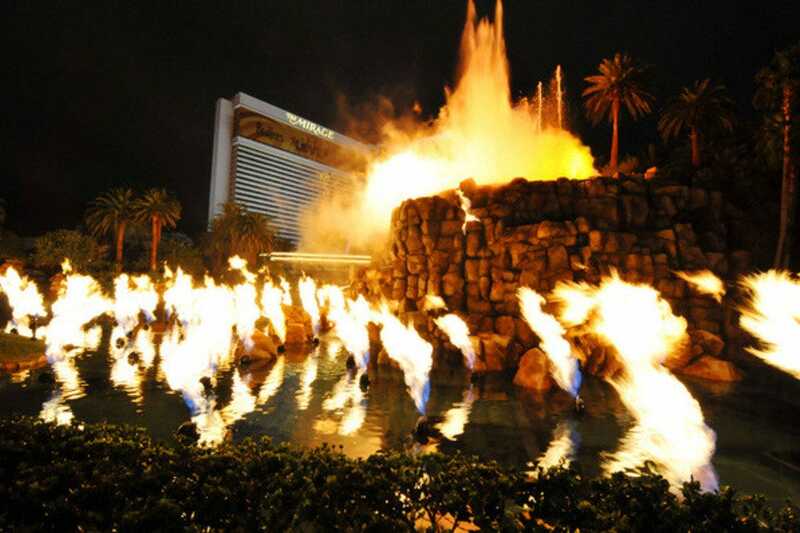 The firm that designed the Bellagio's famous fountains helped give the volcano a makeover in 2008, adding more fire and drama. An exclusive soundtrack for the eruptions was created by Mickey Hart of the The Grateful Dead's Mickey Hart and Indian musician Zakir Hussain. 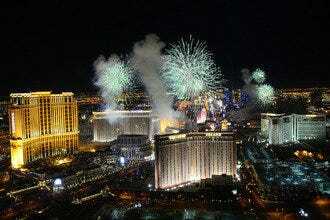 The dancing waters of the Fountains of Bellagio have become one of Las Vegas' most iconic attractions. Jets of water shoot hundreds of feet into the air, sway gracefully and race around in patterns on the surface of Lake Bellagio. All that aquatic movement is choreographed to popular music, some of it very Vegas-y (think Sinatra and Elvis), but you'll hear plenty of classical, romantic and toe-tapping tunes as well. The fountain's elaborate show captivates audiences, plus it's a free Las Vegas attraction that's appropriate for all ages. Once you've seen the show, be assured that you'll want to see it again--the show is enchanting, no matter how many times you've watched it. 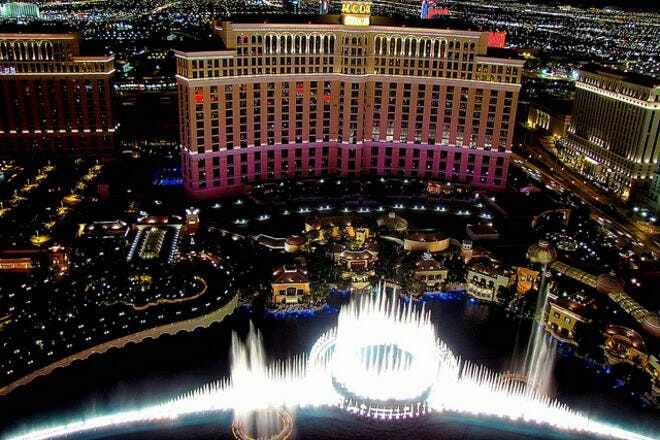 Additionally, the Fountains of Bellagio are just one of the hotel's free attractions, which also include the Botanical Conservatory and the Chihuly sculpture near the front desk. No trip to Las Vegas is complete without visiting this landmark. 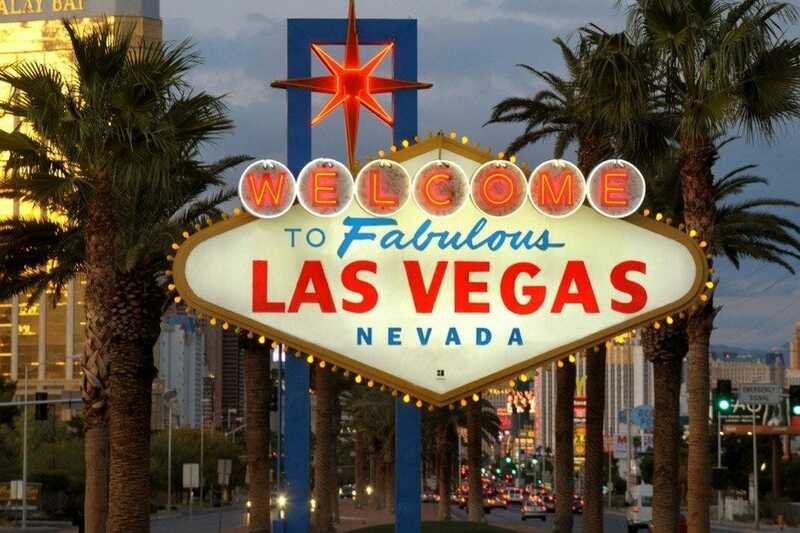 Designed by Betty Willis in 1959, the famous neon sign welcomes millions of visitors to Las Vegas each year. 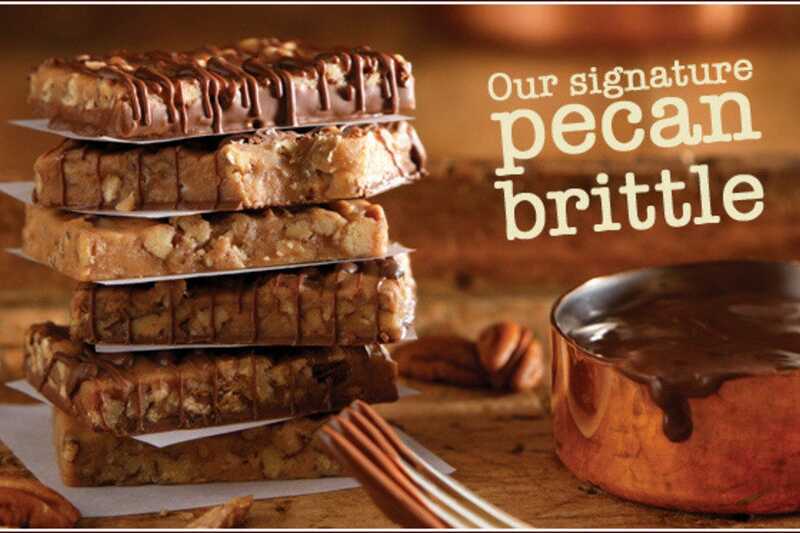 Willis never copyrighted the sign's design, and consequently the sign has become synonymous with Las Vegas and appears on all kinds of souvenirs and in artwork. On May 1, 2009, the landmark sign was officially added to the National Register of Historic Places. For many years, the sign was on the outskirts of town and stood in the median to greet drivers, but now it's surrounded by hotels and has become popular enough that a parking lot was built just for it.